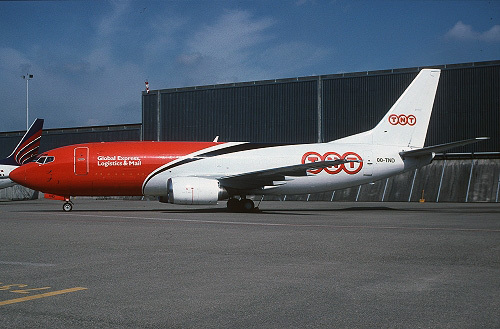 Description: the fourth TNT Airways Boeing 737 freighter was delivered at Liège on December 12 2004. It was damaged beyond repair on June 15 2006 after a failed attempted landing at East Midlands and diverting to Birmingham. On August 3 2006 it was broken up for spares and during March 2007 the fuselage was transported to Lasham.